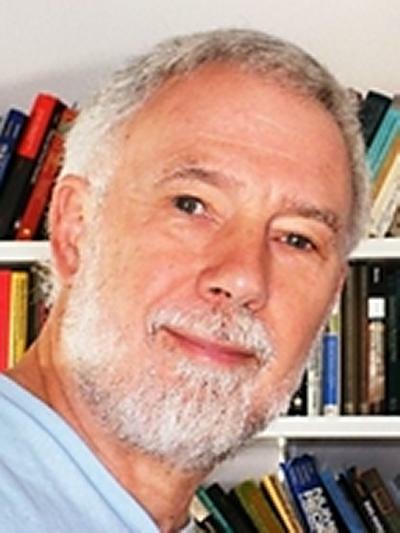 Prof. John Barker is an Emeritus Professor within Engineering and Physical Sciences at the University of Southampton. Well hydraulics, including energy losses and well design. The application of tracer tests. Black, J. H., Woodman, N., & Barker, J. (Accepted/In press). Groundwater flow into underground openings in fractured crystalline rocks: an interpretation based on long channels. Hydrogeology Journal, 1-56. Woodman, N., Beaven, R. P., & Barker, J. A. (2007). Critique of landfill flushing using exponential models. In A. Haarstrick, & T. Reichel (Eds. ), Landfill Modelling (IWWG Monograph Series). Padova, IT: CISA. Barker, J. A. (2007). Diffusion in hydrogeology. In S. Brandani, J. Chmelik, J. Kärger, & R. Vope (Eds. ), Diffusion Fundamentals II Leipzig, DE: Leipziger Universitätsverlag. Bloomfield, J. P., & Barker, J. A. (2005). MOPOD: a generic model of porosity development. In R. P. Shaw (Ed. ), Understanding the Micro to Macro Behaviour of Rock–Fluid Systems (pp. 73-78). (Special Publication; No. 249). London, GB: The Geological Society. Atkinson, T., Barker, J. A., Mattey, D., Latin, J-P., Ainsworth, M., & Durell, R. (2014). Ground air flow around caves in Gibraltar – an important and dynamic control on cave air CO2 and the isotopic composition of speleothems. Paper presented at 7th International Conference on Climate Change: The Karst Record, Australia. Atkinson, T., & Barker, J. A. (2014). Pipe and sponge: seasonal ventilation of caves from the point of view of ground air circulation in the rock around them. 25-26. Paper presented at 7th International Conference on Climate Change: The Karst Record, Melbourne, Australia, Australia. Hudson, A. P., Beaven, R. P., Barker, J. A., Woodman, N., & Knox, K. (2011). An experiment to investigate various methods of flushing contaminants from MSW. Paper presented at Thireenth International Waste Management and Landfill Symposium, Italy. Rollinson, J., Rees-White, T., Barker, J. A., & Beaven, R. P. (2010). A single borehole dilution technique to measure the hydrogeological properties of saturated landfilled waste. 105-112. Paper presented at Waste 2010 Conference, United Kingdom. Rees-White, T., Woodman, N., Barker, J. A., & Beaven, R. P. (2010). The design and preliminary analysis of three trial echo tests carried out in a landfill. Paper presented at Waste 2010: Waste and Resource Management – Putting Strategy into Prac-tice. Stratford-upon-Avon., United Kingdom. Woodman, N. D., Beaven, R. P., & Barker, J. A. (2007). Critique of landfill flushing prediction using exponential models. Paper presented at Eleventh International Waste Management and Landfill Symposium, Italy. Barker, J. A., Woodman, N., & Atkinson, T. (2007). Developing tracer tests for characterising transport through landfill waste materials. Paper presented at 2nd International Workshop on the Hydro-Physico-Mechanics of Wastes, United Kingdom. Powrie, W., Beaven, R. P., Watson, G. V. R., Richards, D. J., Barker, J. A., White, J. K., ... Munnich, K. (2007). Landfill Science Research Needs: After the EU Landfill Directive. Paper presented at XI International Waste Management and Landfill Symposium, . Neumann, I., Barker, J. A., Macdonald, D., & Gale, I. (2005). Approximating technical effectiveness of low technology aquifer recharge structures using simple numerical solutions. Paper presented at ISMAR 5 5th International Symposium on Management of Aquifer Recharge, Germany. Maurice, L., Atkinson, T., Barker, J. A., Bloomfield, J., Farrant, A., & Williams, A. (2005). Importance of karst for groundwater protection in the English Chalk. 49-54. Paper presented at International Conference on Water Resources and Environmental Problems in Karst, Serbia. Rees-White, T., Beaven, R., Woodman, N., & Barker, J. (2012). A ‘fill and draw’ tracer test at the Landgraaf landfill pilot November 2010 to March 2011. Southampton, GB: Waste Management Research Group, University of Southampton. Towler, G. H., Barker, J. A., McGarry, R. G., Watson, E., Michie, U., & Holstein, A. (2008). Post-closure performance assessment: example approaches for groundwater modelling of generic environments. (Quintessa Report; Vol. QRS-1378G-1 Ver). Nuclear Decommissioning Authority Radioactive Waste Management Directorate.